Books. Umm... Do you like to read books? I think it is very helpful and interesting to read books on the place you are traveling. You will get lot of interesting information in the book. You may be visiting a church or Museum, suddenly you will remember you read something on it. If you are frequent visitor, but never read books on travel spot, then I would suggest you, better start now. Beauty of sites of Peru is mixed with history. That is why if you plan to visit to Peru, you must read some books on it. There are lots of books on Machu Picchu and Peru. Certainly I did not read all of them. But I read some very interesting books. Here I am trying to provide some information on the one I found fruitful and interesting. You may know that 1914 edition of National Geographic was written on Machu Picchu only. After Hiram Bingham discovered Machu Picchu, it was National Geographic who brought this city to attention of the world. This book used those articles. Some of the articles are really interesting. Once you start, you can not stop reading it. All the articles were written on 1914, so you get the old taste here. Price : Around $20.00 . This book chronicles Hiram Bingham's achievements, with emphasis on the explorations of which he was most proud, as well as some of his more questionable actions. His adventurous character is brought to life in all its human complexity. This book has some Wonderful photographs. 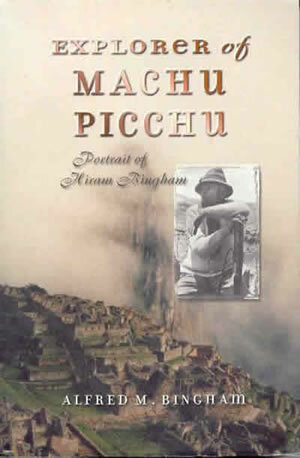 Pablo Neruda's poem, "Heights of Machu Picchu", helped to bring even more meaning to our Machu Picchu's memories. 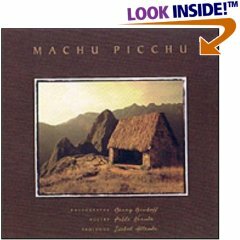 This text is a wonderful way to enhance your experience of actually being at Machu Picchu. It also makes a great coffee table item. This one is very very comprehensive. You can get all types of information here. You can get information on the places to visit. Traffic system, hotel, structures, their history. Inca and their history- actually you can get everything from here. This one is also a very good guide. This guide focuses more on the background history.